This is by-far our easiest rainwater harvesting systems to setup. Simply lower the submersible water pump into the water tank and connect to an outside tap. Rainwater harvesting system complete with submersible water pump and pressure switch housing connected to a garden tap. Ideal for watering the garden or cleaning your patio. The Ecosure Super Complete is one of the most popular systems we manufacture. The internal pump is powerful enough for you to use out in the garden, use the washine machine, wash the car and flush your toilet. 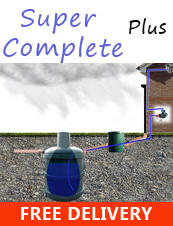 Like the systems, the SuperComplete comes with an underground filter to stop debris from entering the underground water tank. The slim underground water tank is ideal for those that need to store water in a tight space. The 1050 litre has two 4" connections ideal for connecting underground pipe work. Made from Medium Density Polyethylene (MDPE) our new 1050 Litre water tank comes with an 12" lid which is ideal for installing a submersible water pump ideal for watering the garden or even washing the car. Also a 1" BSP outlet is pre-moulded in the tank. 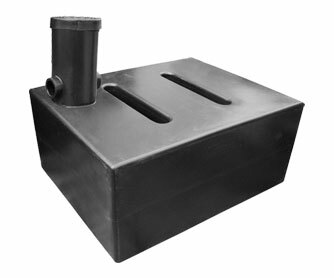 The varient 2 rainwater harvesting tank is designed to lay flat is ideal for going under decking or underground to store your collected rainwater. You can use your rainwater to feed and maintain your garden or you can use it for house hold items such as your bathroom toilet, dishwasher etc and with filteration you can use it for drinking water. Make your rainwater harvesting tank work for you and to suit your requirements. To order this item is simple you can order here through our secure online shop or you can order over the phone with our friendly sales team. Our office hours are 8am -5pm Monday - Friday. Simple and easy to install, Ecosure Rainwater Harvesting systems are ideal for the DIYer as there are no moving parts inside the tanks.Designed and Manufactured in the UK, our tanks have UK standard fittings which means you can add on any other fittings with ease. Take a look at our wide range of water tanks that are made from wras approved polymers which are suitable to hold drinking water. This is where we can help you! We supply and manufacturer rainwater tanks from small to large and in many shapes and colours. All of our rainwater tanks are made here on site in the Uk which allows us to offer you a fast delivery service and a quality rainwater tank. Here at Gardens4.com we can provide and supply you everything you need for your garden. Whether your looking for a step by step garden guide, general or helpful information on flowers and products or you looking to purchase any of our products. No matter what we are here at your service. Whether you need a water tank for your garden or a large water tank for the factory, we have many different shapes are sizes that are sure to suite your needs. Here we can stock and supply a Rainwater Harvesting Tanks Uk manufactured, water tanks, oil tanks, water butts, slimline water butts and a variety of water storage tanks. This is your one stop shop for all your water storage tanks. We have a wide range of water tanks instock from 5 litre up to 75,000 litre. We can also make bespoke tanks from GRP (Glass Reinforced Plastic), this means we can manufacture a water tank specific to your needs. Get your rainwater harvesting system and save yourself some money on your water. 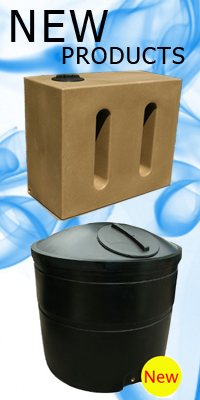 Our rainwater tanks range in many sizes giving our customers a fantastic range to choose from. Welcome to the UK's online industrial supply shop. Offering a wide selection of industrial products so we are sure to have the right product for you. The largest online shop for all types of storage tanks; from water tanks for your garden to large underground storage tanks. Rainwater fall from the sky for free, by simply filtering then storing it you can water your garden or even pipe straight into your home and use the water to flush the toilet or do the laundry. A dedicated website to rain water harvesting.specialising in rain water harvesting systems and products that are eco friendly and aim to help you become more self sufficiant by harvesting your own rain water.